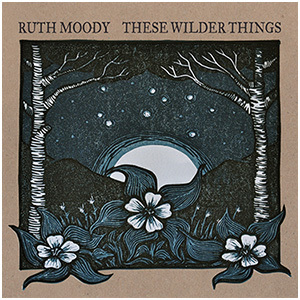 The Wailin’ Jennys’ Ruth Moody hits the ball out of the park on this atmospheric second solo album, which profits from her poetically crafted love songs and lilting vocals. The understated but passionate “One and Only,” which reminds me a bit of Lucinda Williams’s “Right in Time,” is among the most seductive ballads I’ve heard in a while. Also here are the exquisite “Make a Change,” about a love that “passed by like the cars”; “One Light Shining,” which features Jerry Douglas on dobro; “Pockets,” with electric guitar and backup vocals by Mark Knopfler; and “Nothing without Love,” an emotive plea to a lover “living worlds apart” that sounds like an instant classic. The only non-original in the batch actually evidences a good deal of originality: Moody turns Springsteen’s “Dancing in the Dark” into a sweet, soft meditation that fits well with the rest of this melodic package. The uncluttered production is just right, and so is the backup, which emphasizes piano and acoustic guitar but also sparingly applied horns, fiddle, cello and other instrumentation. If you like such artists as Mary Black and Nanci Griffith, you really ought to hear this.